SE Uplift is excited to announce our 2015 Neighborhood Small Grants Recipients! 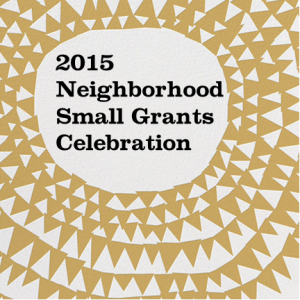 2015 Neighborhood Small Grants Celebration! It will be a fantastic opportunity to learn more about the impact of our grant programs, network with other community leaders, and get the inside scoop on some of the cool things happening in town. Plus there will be drinks and fabulous photography to peruse.